The 2013 OC Fair themed, "Come and Get it" provides kid approved food, games, rides, animals, exhibits, entertainment, competitions and so much more. And the best part is you still have 10 more days ahead of you to enjoy all the fun! This year the OC Fair also provides an excellent service, "OC Fair Express - Ride With Us," which allows people to catch the bus at one of nine convenient locations and shuttles them to and from the fair for only $2 each way. Not only that, but you also get a discounted admission to the fair of only $3. 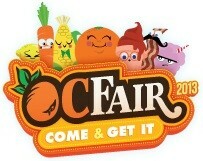 So come and get the kiddos ready and join in on all of the OC Fair fun! Have you ever thought about publishing an e-book or guest authoring on other websites? 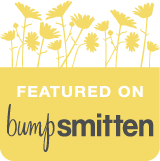 I have a blog based upon on the same ideas you discuss and would love to have you share some stories/information. I know my readers would value your work. If you're even remotely interested, feel free to send me an email. Woah! I'm really enjoying the template/theme of this site. It's simple, yet effective. A lot of times it's very hard to get that "perfect balance" between superb usability and appearance. I must say that you've done a amazing job with this. Additionally, the blog loads super fast for me on Chrome. Excellent Blog! I used to be recommended this website via my cousin. I am now not sure whether this put up is written via him as nobody else realize such distinctive approximately my difficulty. You're amazing! Thank you! Hello to all, how is the whole thing, I think every one is getting more from this site, and your views are fastidious in support of new people. Hey! I realize this is somewhat off-topic however I needed to ask. Does running a well-established website such as yours require a massive amount work? I am brand new to running a blog however I do write in my journal everyday. I'd like to start a blog so I can share my own experience and thoughts online. Please let me know if you have any kind of suggestions or tips for brand new aspiring blog owners. Thankyou! Howdy I am so delighted I found your weblog, I really found you by mistake, while I was looking on Digg for something else, Anyways I am here now and would just like to say cheers for a tremendous post and a all round thrilling blog (I also love the theme/design), I don't have time to go through it all at the moment but I have book-marked it and also included your RSS feeds, so when I have time I will be back to read a lot more, Please do keep up the awesome job. Wow, that's what I was looking for, what a data! existing here at this website, thanks admin of this website.